Last summer, Time to Revive, an evangelical non-profit organization led by Kyle Lance Martin, marched through the city of Kokomo, Indiana. They helped revive and equip our churches to share the gospel effectively with our neighbors and loved ones. It was an exhilarating experience. The churches, who were normally divided by subtle differences in church government, politics, and end-times eschatology, came together with the most important common ground shared: Jesus, the God-Man, died on the cross for the sins of the world (John 3:16). This strategy worked. The churches were united. And they were not united by liberal ecumenicism telling them to forsake their core beliefs of Christendom to get along. Instead, the churches realized their differences were only preferences, not biblical requirements. Thus, unity came as a result of obedience for God to be glorified (Eph. 4:4). In fact, one of the pastors belonging to the Wesleyan Holiness Movement was surprised he was praying with a Pentecostal. Baptists and Presbyterians were evangelizing together. Even predominately white churches were serving the community with black churches. This doesn’t happen that often in America. And that’s why I believe it was a move of God. When God moves, he is not concerned with denominational preferences. He is not weighing the pros and cons of traditional versus contemporary service. And he surely is not involved in racial segregation–He died for that. Racial Reconciliation is not a social issue; it is a Gospel issue! How was the gospel preached? Each individual involved with Time to Revive received a couple of Bibles and wristbands. 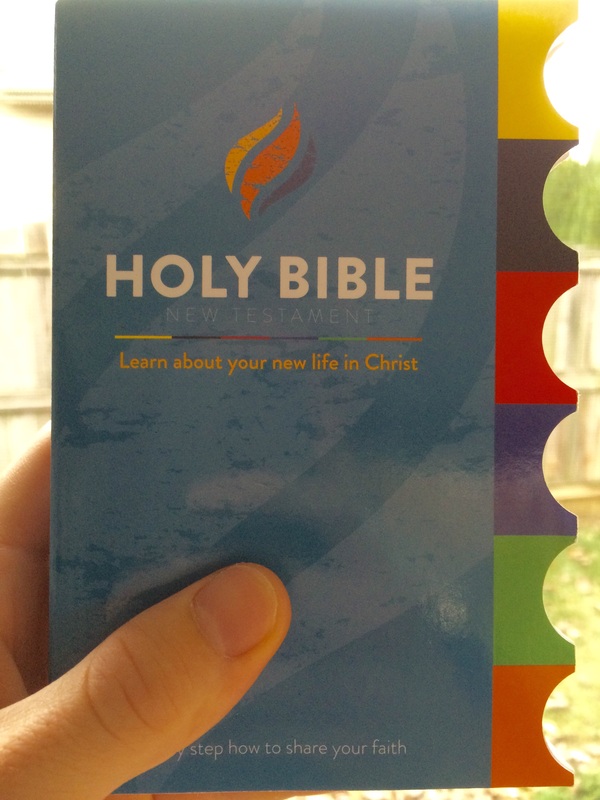 The Bibles and wristbands are color-coded by themes: Yellow represents sin, black symbolizes death, red stands for God’s love, blue shows faith, and green corresponds to life. The first step is to walk up to someone and ask, “How are you? Is there anything I can pray for you about?” Nine out of ten times, the person says, “Of course.” After they inform you what’s on their heart, you actually pray for them…right there. 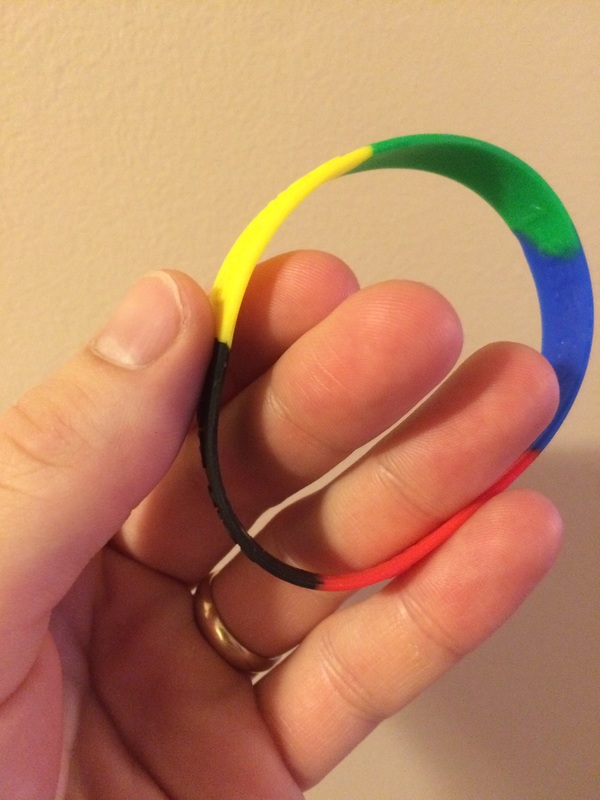 Next, you give them a color-coded wristband as a reminder you prayed. Usually the person looks at it. “What is this?” they may inquire. You tell them each color represents a theme of the Bible. Would you like for me to share these themes with you? Once they agree to this, you have your Bible ready to flip to each verse. 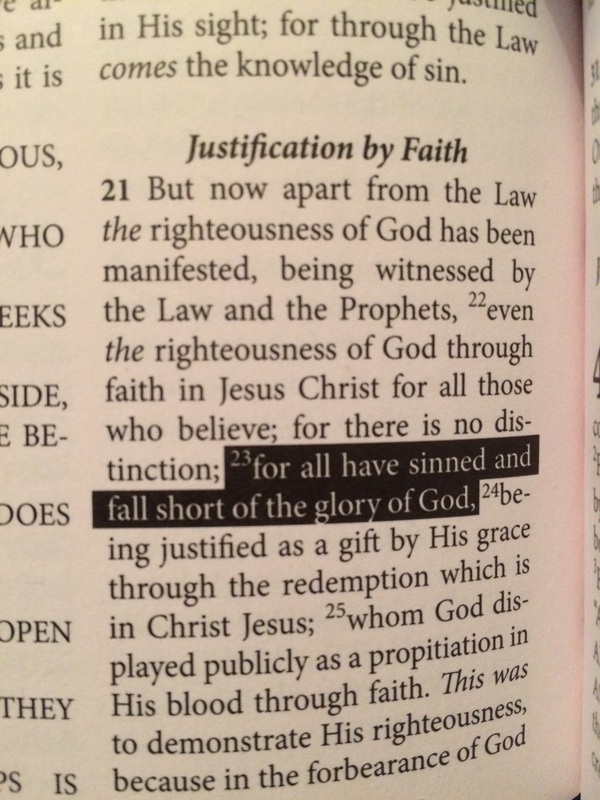 The nice thing about it is these verses are already marked for you in the Bible. Because there are thumb-tabs that directly flip to your page, there is no need to panic. It’s all there for you to adequately explain the gospel. Once you go through the gospel, on the back of the Bible there is this question: “Is there anything or anyone keeping you from accepting the free gift of life in Jesus today?” If they confess there is nothing holding them back, you simply pray for them. There is a paragraph on the back that shares God’s message. If you have any further questions, you can learn more on their website http://www.timetorevive.com. I hope this was an encouragement to you. Have a great day! Previous Post What Worldview Are You Looking Through? Next Post What does the Bible say about leadership roles between a husband and wife?